Have a Question about Collison Repairs in Sarnia? 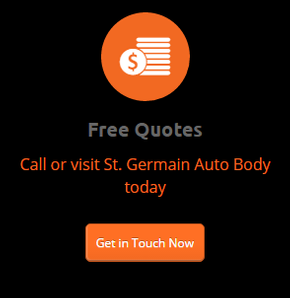 St. Germain Auto Body believes in educating our customers about what to do if they’re involved in a collision in the Sarnia area. On this page, you’ll find answers to some of our most frequently asked questions. Should you not find the answer to your specific question, please contact us via phone or email. We respond to all inquiries as quickly as possible. Q. I’ve been involved in a car accident. What should I do? A. First, stop your vehicle and check to see if there are any injuries on the scene. Never try to move anyone who may be injured – that could make their injuries worse. Next, contact your local authorities and your insurance company to report the accident. Do your best to remain calm and don’t try to argue about whose fault the accident was with the other driver(s) and/or passenger(s). Depending upon the extent of the damages and injuries involved, police and emergency responders may or may not be dispatched to the scene. Be sure to exchange contact and insurance information with the other party involved in the accident, if at all possible. Once you’ve filed the accident report, you’re free to contact us to request a free repair estimate. Q. Do you offer any special services or discounts? A. We proudly offer free quotes, as well as free pickup and delivery services in the Sarnia area. We also offer lifetime warranties on paint for your peace of mind. Q. 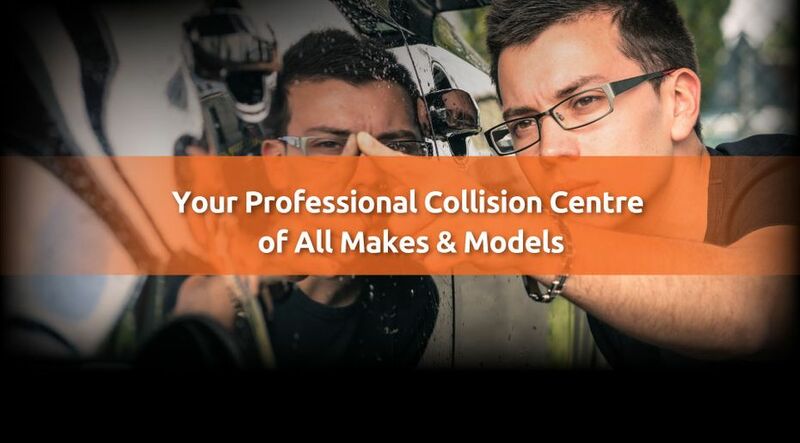 How long do your collision repairs usually take? A. This will vary depending upon the nature of the repair work involved, how extensive the damages are, the make and model of your vehicle and upon our workload that particular day or week. We strive to make the repairs as quickly as possible to get you back out on the road. However, we will never compromise your safety. Q. Where is your repair shop located, and when are you open? A. You can find our repair shop conveniently located at 231 Campbell St., just at the end of Mitton St., in Sarnia, Ontario. We’re open Monday through Friday, from 8:00 AM until 5:00 PM. Appointments are not necessary, but are recommended to guarantee our availability. We’ll get your vehicle looked at as soon as possible. You can get directions to our shop or schedule an appointment by contacting us via phone or email.